WWAM Businesses Incorporating Asian Traditions | WWAM Bam! When you are in a cross-cultural relationship with someone from a very different background, chances are you will develop an interest for some of the traditional elements in your partner’s culture. For some Women from Western countries, this experience with their partner’s Asian culture has further inspired them, and they have incorporated elements into their businesses and creations. Here are a few examples of WWAMs whose businesses have been inspired by traditional elements of their respective husbands’ cultures. 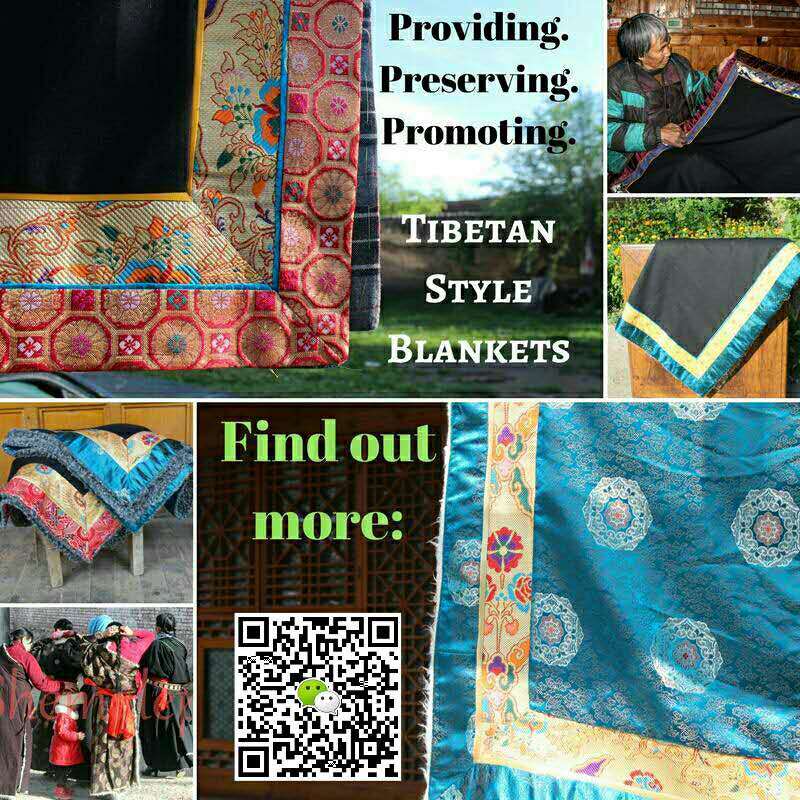 Kim’s warm blankets are inspired by the traditional Tibetan robes that anyone who has been to the are will be familiar with. They are warm and functional but use some beautiful patterns in their designs. You will often find Tibetans wearing the robe in a fashion where either one or both sleeves are hanging down at the waist. With her blanket designs, you can bring a warm and cuddly touch of Tibet to your home, and even customise the design. If this tivkles your fancy, you can scan the QR code in the image to get in touch with Kim directly for sizes, prices and colour options. Integrating into a new culture also means learning about its folk stories. 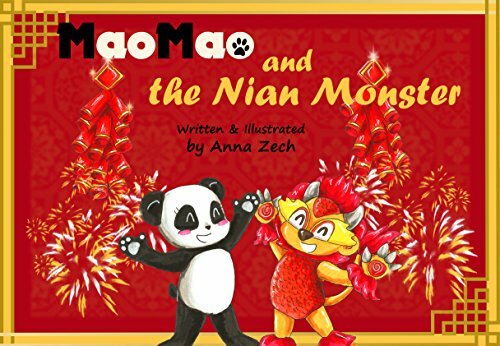 In the case of Anna this has lead to a wonderful burst of creativity as the skilled artist was inspired by this legend surrounding Chinese New Year to write and illustrate a beautiful children’s book in English. So now you can teach this fabulous element of traditional Chinese culture to your kids in English, now that’s what you call bringing cultures together. We are certainly hoping to see more of Anna’s cross-cultural creations in the future. In the meantime, check out her book on Amazon. Started by Kim Yeshi, a French woman, and her family, Norlha Textiles uses yak wool in their production of clothes. 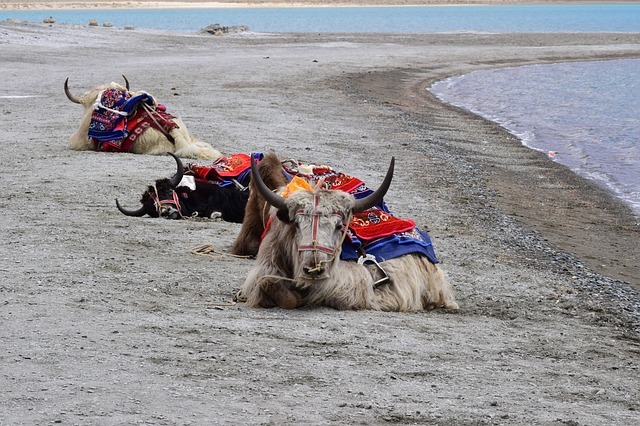 The animal which is closely linked with the traditional Tibetan herding lifestyle provides the material, while different weaving techniques from other Asian countries have made the process more innovative. The company prides itself on providing jobs for locals. They have already been going strong for a decade, and now have 120 year round employees, clients in Europe, Asia and America, five showrooms and can be found on different types of social media for Chinese and international audiences. To get some more information including an inspirational marketing video click here. Nestled in a traditional house in the Tibetan town of Xiahe Gansu is an art school with 12 students. They’re learning how to draw and paint both Tibetan Thanka religious paintings and Western style art. While there are several Tibetan art schools in the area, this one is special for a few reasons. One is that it’s ethics based, and the other is that it’s run by a Canadian WWAM named Kristel (aka Tenzin Dolma). Worried about how Tibetan religious art has changed in recent years, with artists abandoning historic methods and rituals in favor of copying and cutting corners, Snowland Art was created to revive traditional painting on the Tibetan plateau. Now in its seventh year, the school has grown to house the students, a teacher, her husband, and two cats. Are you a WWAM running a business that is somehow linked to Asian traditions or do you know one? 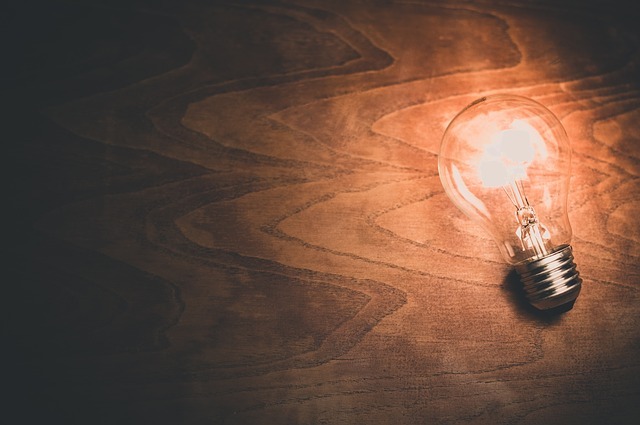 Then let us know in the comments or send an email to [email protected], as we hope to feature more WWAM businesses in the future!